NSP Strategy: Are SP's Irrelevant? I see quite a few articles (especially by Gary Kim) about Service providers (SP's) becoming Irrelevant. In this article, he quotes Matthew Key, CEO of Telefónica’s Digital division, arguing "that mobile operators must invest in innovation, because they are becoming “commoditized” and their relevance to customers is "decreasing."" If this were in fact true, Sprint or Tracfone would be the #1 cellco -- and they are not, by a long shot**. The main idea is that ACCESS is a commodity and customers are paying, NOT for Access, but what the Access gets them - the apps, Pandora, Facebook, twitter, etc. This is actually true. We have found that one reason households upgrade to broadband is to get Netflix. It would be wise to remember that lesson, since I haven't seen anyone use a marketing message of: Fast Access to the Apps you want without the lack of privacy that you now experience. The other part of the Irrelevance is the declining revenue for voice and SMS. Originally, the telcos (most of whom globally are cellcos) lost landline voice revenues to mobile substitution and OTT (over-the-top) VoIP. Now they are losing cell voice revenue and very profitable text/SMS More and more revenue is moving to apps. Apple and Google are taking some of that revenue. We saw it first with Craigslist decimating billions in newspaper ad revenue. Now we see other disruptors whittling cellular revenues. With the PSTN being turned off, the question becomes "What is your business model post-PSTN?" While I know that most of my readers are not cellular operators, some have MVNO deals that may play a role in your relevancy with your subscriber base. There is a good article about how mobile operators have to RE-THINK who their customers are. "All mobile operators pushing for success will have to start thinking of themselves as “digital lifestyle providers,” and with that comes a need to work harmoniously with OTT, M2M, cloud, mobile advertising and mobile payment services." I am moderating a panel on the Future of CSP's at ITEXPO next week. One panelist is from Sonus who is defining CSP as Gartner does: "includes all service providers offering telecommunication services or some combination of information and media services, content, entertainment and applications services over networks, leveraging the network infrastructure as a rich, functional platform. CSPs include the following categories: Telecommunications carrier, content and applications service provider (CASP), cable service provider, satellite broadcasting operator, and cloud communications service provider." That's a big garbage can term. It also means that Gartner has no clue who will win the SP Wars. It reminds me of when they all bet on IMS as the savior and later when it was all about outsourcing the network. It's about being flexible and listening to your customers. There's no magic bullet, since no one has a crystal ball to see what will come along out of nowhere and wipe you out (like Craigslist) or change the game beyond repair like Napster. I've been known to say Layer 1 or Layer 7. We see it happening now. David Byrd shares on the FCC's latest Local Voice Competition report. 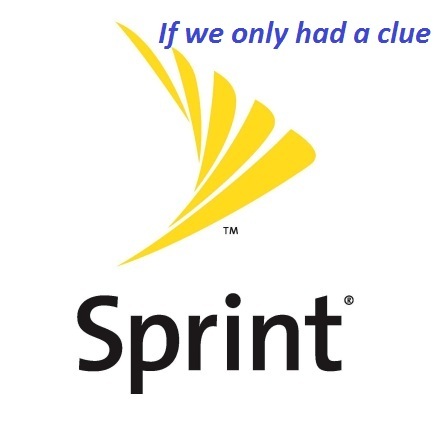 **Sprint has been plagued by poor management. It's C-Suite decimated the Nextel brand, which was one of the most profitable mobile operators. That same management then made decisions that turned out to be poor choices and coupled that with hapless execution. 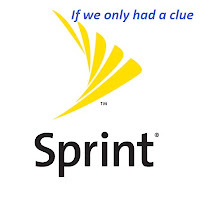 Buying Clearwire and some US Cellular assets is going to fix the big 3 problems with Sprint: (1) spotty network; (2) disappointing brand name; (3) does Softbank have a strategy to catch up?